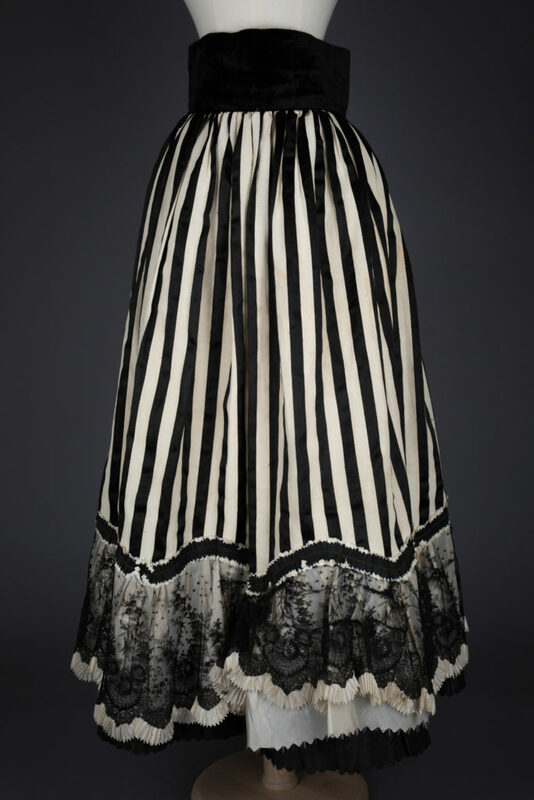 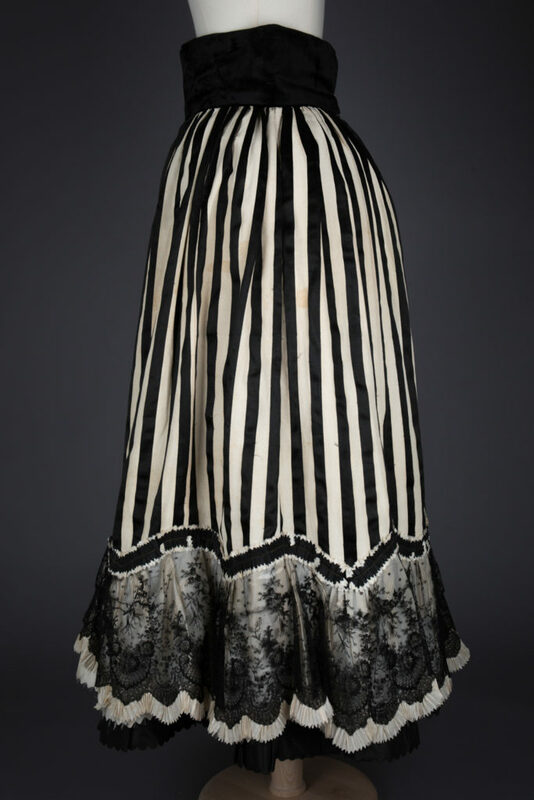 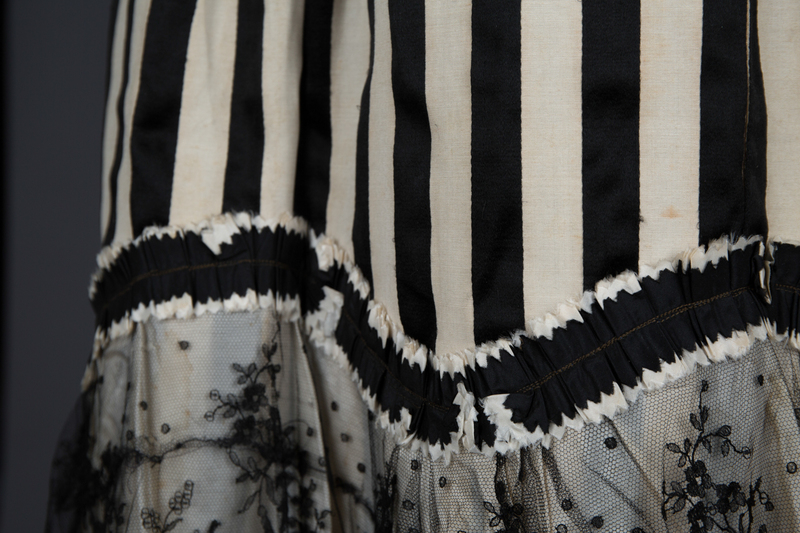 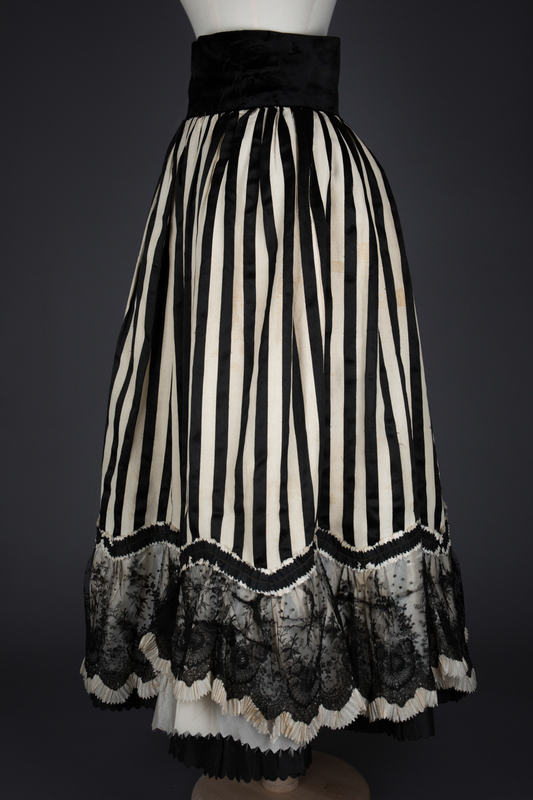 An elaborate underskirt with a silk velvet waistband, printed striped cotton, and an intricately trimmed hem incorporating gathered pinked silks and fine chantilly lace. 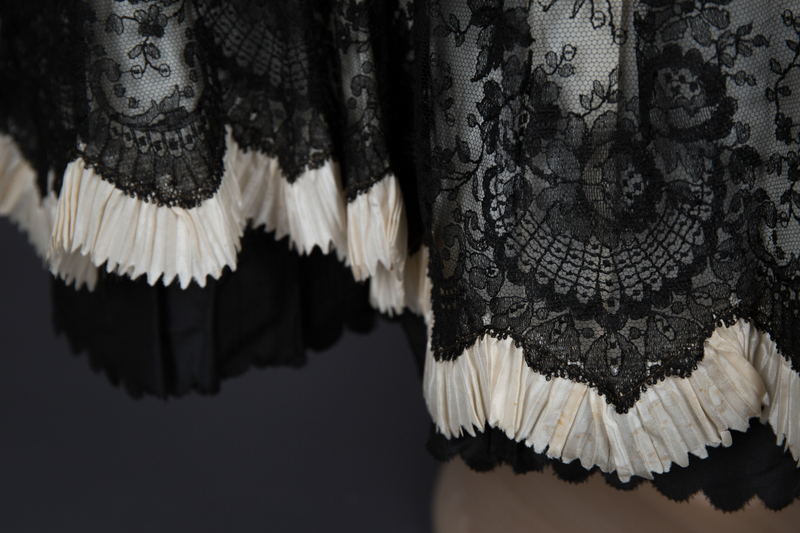 The lace hem has numerous areas of damage, which has been repaired somewhat clumsily, resulting in an uneven hemline. 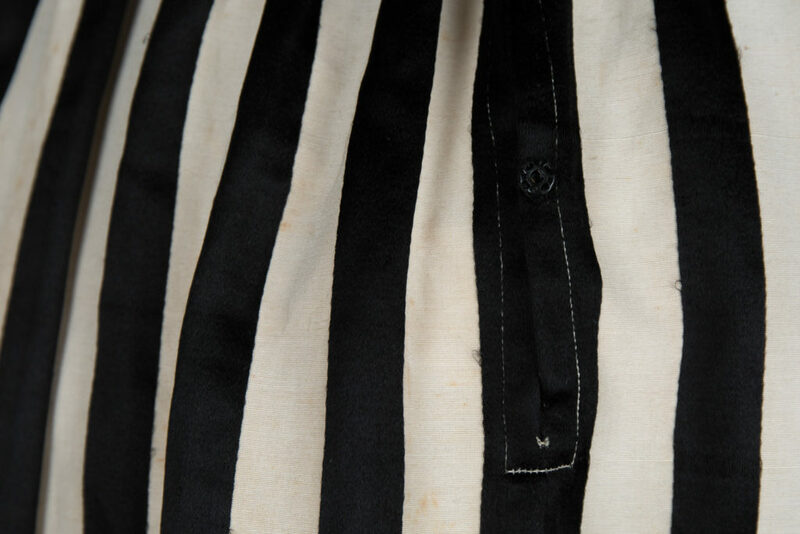 During the 20th century the skirt was repurposed as a piece of costume rather than underwear, where it presumably sustained this damage and amateur repair work. 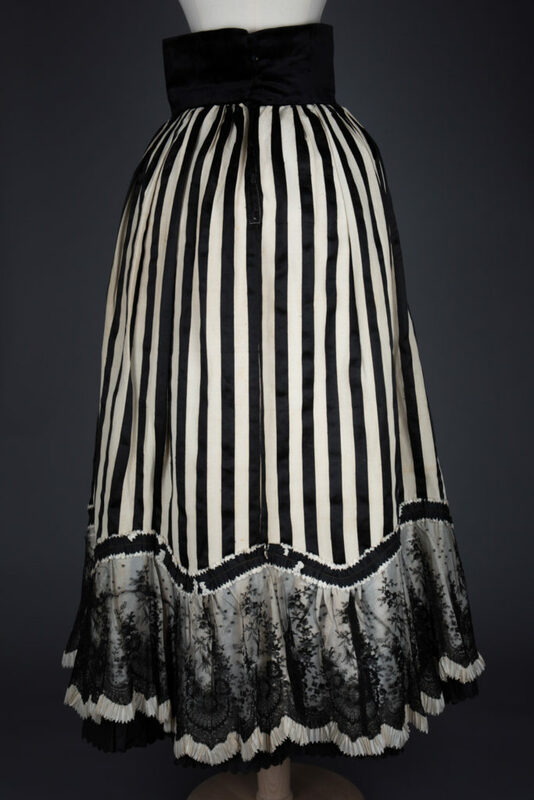 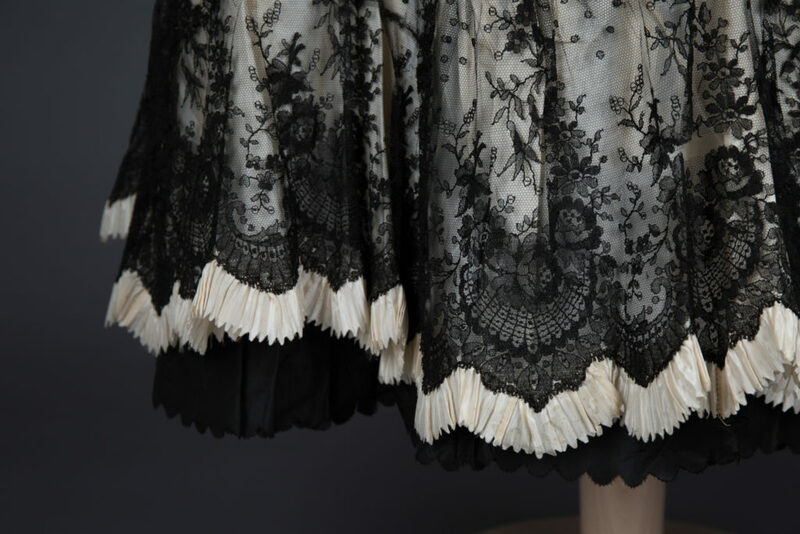 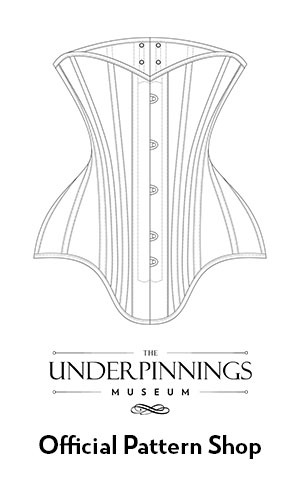 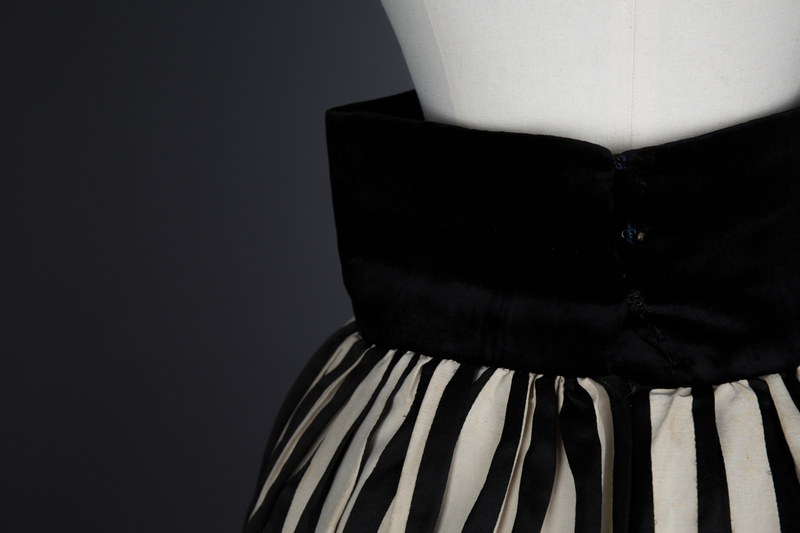 This underskirt would have been worn below another skirt or gown, but unlike a petticoat, was designed to be left partially uncovered and visible (hence the elaborately embellished hemline).